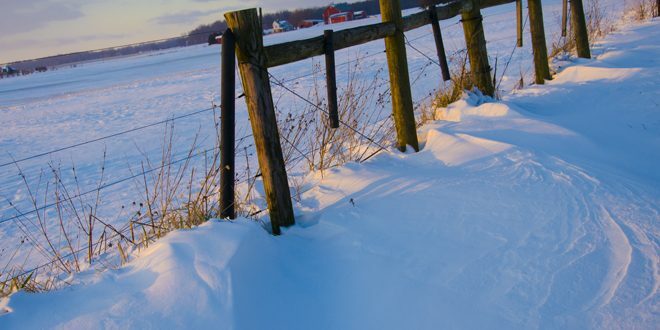 With the government shutdown eliminating the January USDA report, all the information the market wants to trade was moved to the February report, making it one of the biggest and most anticipated report of the year. The final 2018 corn yield of 176.4 was surprising. This was slightly lower than 2017 and 2.5 bushels lower than the December report. This was one of the biggest yield decreases from December estimates to the final results in history. Those two bushels mean over 200 million fewer bushels, which should have had a bigger positive impact on futures. However, the report also showed a drop in overall demand. The 125-million-bushel feed demand decrease surprised me. I’ve noticed high demand for corn in feed rations recently compared to other substitute ingredients, so I was actually expecting an increase. With the USDA livestock numbers showing a 2.36% year over year production increase, if feed rations stayed the same, it should have only meant a 75-million-bushel feed demand decrease (not 125 million). Maybe a future USDA report will increase feed demand estimates, if that happens and all other numbers stay the same, carryout could still end up below 1.7 billion. While export pace has been steady, the South American growing conditions have been so good that a large crop is now expected. This could mean May to September U.S. export potential is limited because of competition from all of that production in South America. This could keep a cap on our prices going forward and might be why the USDA did not increase these numbers this month. 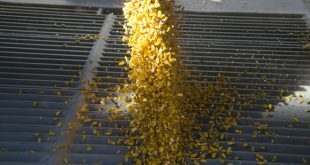 For soybeans, many feared carryout could exceed 1 billion bushels, so the news that final yields decreased with no real big demand reduction, resulting in a 910 million carryout, was welcome. The problem for beans is that fundamentally there is no justification for current prices without a big China trade deal. The market will focus on those trade issues until the March planting intentions report — if the market is still open at the end of March. The Dec Corn/Nov Bean ratio moved even more in favor of planting beans this week. At a 2.4 : 1 ratio, there is little incentive for farmers to plant one crop over another. Corn demand remains strong as we grind through stocks. If corn acres don’t increase at least 3 million acres in 2019, next year’s carryout could be tight, pushing prices higher. Often some experts in the industry suggest that farmers should sell their grain and “look for a possible re-ownership opportunity by buying calls.” This advice doesn’t make any sense to me, especially in the corn market. When farmers have unpriced grain in storage, or even in the field growing, they already have ownership. They don’t need MORE corn while prices are low. They need the market to rally so they can sell the corn they have, or will have at the next harvest. 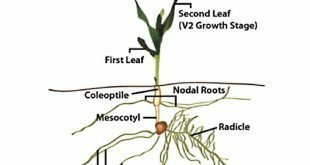 More corn only adds more risk to their farm operation. In essence, this advice is telling farmers, who are already speculators, to double down. This is why I stress to farmers to really think about what they are doing when they speculate by BUYING calls. Right now, many farmers have some 2018 crop left they need to sell, and probably most of 2019’s crop. So, I’m not sure why it makes sense to buy the right to buy more corn if you are a farmer who isn’t done with this or next year’s crop sales. In most cases, farmers buy calls because they HOPE the market will go up. I’ve seen very few times when farmers have made a lot of money buying calls. Most of the time farmers lose some or all of the premium they pay when buying calls. Those that don’t lose money are generally only going to make a small profit if they are lucky. My marketing plan does not include “buying hope,” but instead I “sell hope.” Certainly not on all of my bushels, but I do for some. Basically, I get paid for selling hope to somebody else. Farmers need to remember that based upon history 66% of the time it will be a normal year. During normal years, prices well above breakeven points are unlikely for an extended period of time. I try to position my marketing strategies where I can take advantage of opportunities assuming trend line expectations while understanding how I will be affected by unpredictable market variations. When buying options, the longer length of time until the option expires makes it worth more. More time = more chances for market movement. Similar to hope, I don’t want to buy time. Time is expensive because it’s in finite supply and everyone wants more of it. Instead I determine what price I want for some of my grain, then I optimize how much (time) value I can get for that option and then I sell it. I always caution farmers to think about their grain marketing end goals. What happens if your goals aren’t met? What happens if the price doesn’t go up like you think or hope it should? What happens if you are wrong with your market assessment? Are you prepared for all market scenarios? My goal is to design a marketing plan that takes into consideration as many market scenarios as possible. In every trade I analyze how my profit will be affected if the market goes up, down or sideways. I then take into consideration risk and the likelihood of each scenario happening based upon current market conditions. While I’m prepared if the market goes down or sideways, like all farmers, I ALWAYS want prices to go up. Any time I make a trade I’m hoping to be wrong and the market rallies. And if it does…. I’ll sell more corn…. because I will ALWAYS have more corn to sell. Maybe not in 2018, but certainly in 2019 and 2020. Ultimately, I’m happy to sell my hope for higher prices to somebody else in exchange for a small amount of guaranteed income. I hope it’s the wrong decision, because all of the grain I don’t yet have sold is now worth a lot more. Please email jon@superiorfeed.com with any questions or to learn more. Jon grew up raising corn and soybeans on a farm near Beatrice, NE. 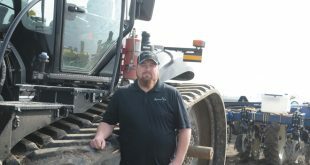 Upon graduation from The University of Nebraska in Lincoln, he became a grain merchandiser and has been trading corn, soybeans and other grains for the last 18 years, building relationships with end-users in the process. After successfully marketing his father’s grain and getting his MBA, 10 years ago he started helping farmer clients market their grain based upon his principals of farmer education, reducing risk, understanding storage potential and using basis strategy to maximize individual farm operation profits. 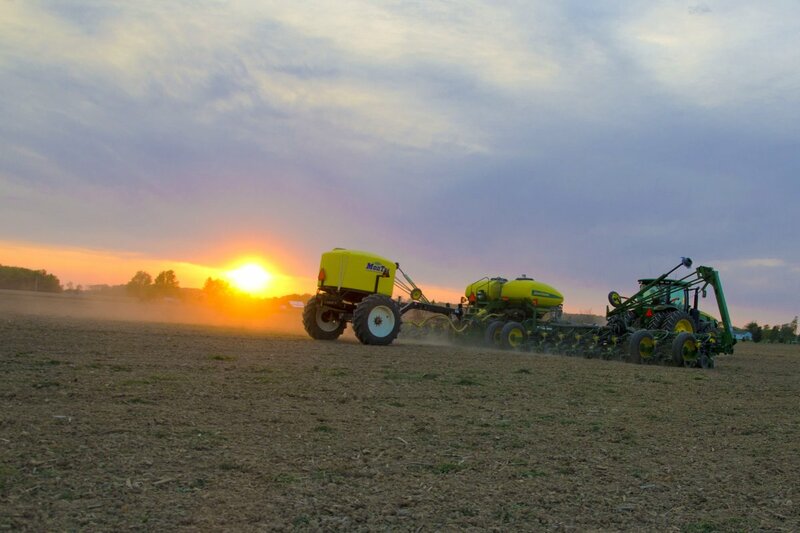 A big believer in farmer education of futures trading, Jon writes a weekly commentary to farmers interested in learning more and growing their farm operations. Trading of futures, options, swaps and other derivatives is risky and is not suitable for all persons. All of these investment products are leveraged, and you can lose more than your initial deposit. Each investment product is offered only to and from jurisdictions where solicitation and sale are lawful, and in accordance with applicable laws and regulations in such jurisdiction. The information provided here should not be relied upon as a substitute for independent research before making your investment decisions. Superior Feed Ingredients, LLC is merely providing this information for your general information and the information does not take into account any particular individual’s investment objectives, financial situation, or needs. All investors should obtain advice based on their unique situation before making any investment decision. The contents of this communication and any attachments are for informational purposes only and under no circumstances should they be construed as an offer to buy or sell, or a solicitation to buy or sell any future, option, swap or other derivative. The sources for the information and any opinions in this communication are believed to be reliable, but Superior Feed Ingredients, LLC does not warrant or guarantee the accuracy of such information or opinions. Superior Feed Ingredients, LLC and its principals and employees may take positions different from any positions described in this communication. Past results are not necessarily indicative of future results.